Faster response compared to the webpage (e.g. changing channels). 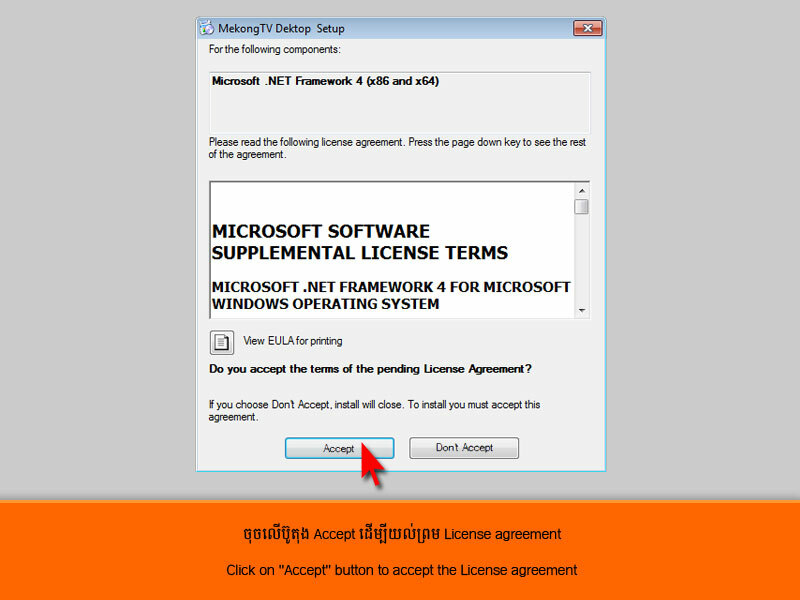 If your Windows is already updated with .NET, the installation process will continue at Step 3. 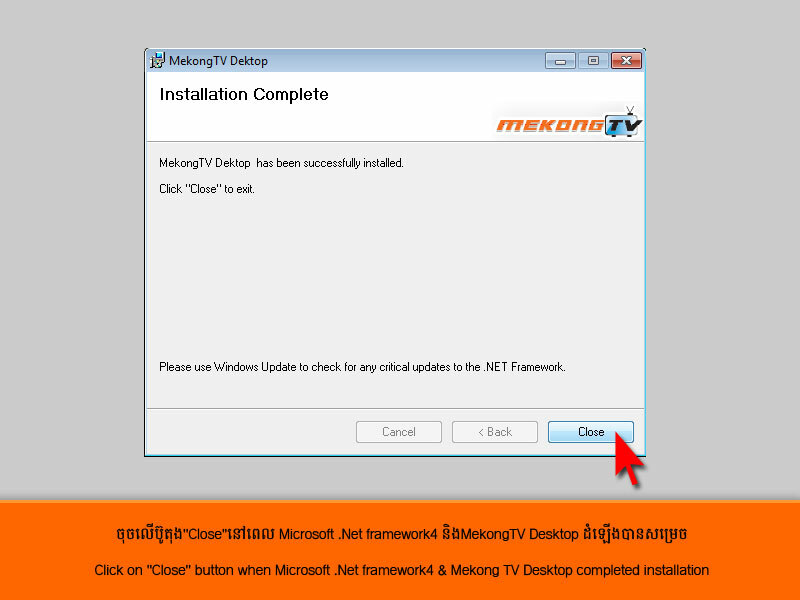 Congratulation, now you installed MekongTV already. 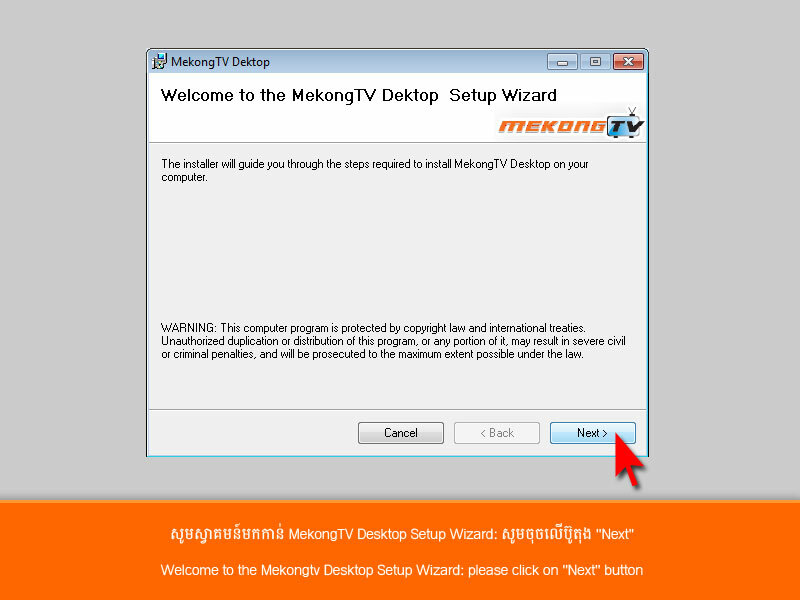 Please to use MekongTV Desktop. 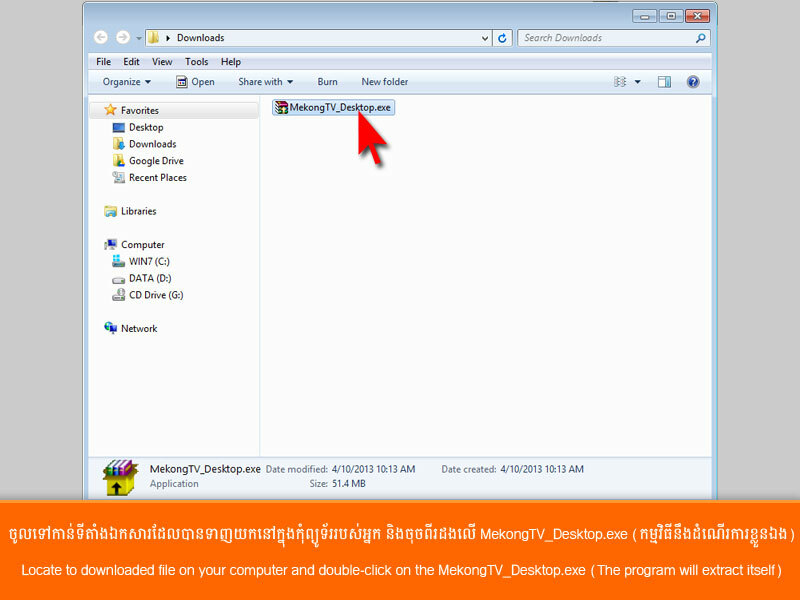 (C) 2010-2012 Angkor Data Communication Group Co., Ltd. All rights reserved.